Vaping CBD Oil – The Healthiest CBD Vape Choice? Did I hear that right? Uh, yeah… you did! An equivalent to nano CBD water, vaping CBD oil is arguably the most effective method of delivering the benefits of CBD (cannabidiol) to the cells of our bodies. CBD oil is made as a by-product of commercial hemp farming throughout the world. Although CBD oil is not yet available at the nano-level, our friends at CBD Living Water are working on it, so until nanotechnology enters the vape oil marketplace, we’ll just have to make due with organic CBD vape oil. What are you talking about – Weed? Incorporating CBD (cannabidiol) into your daily health regimen is becoming a more and more important consideration as new medical data comes from the increasing sample sizes of more and more beneficiaries. Although I have a number of posts related to CBD oil, here’s a quick summary that lists a number of serious illnesses that have proven to be treated with CBD oil. Autoimmune Diseases – Fibromyalgia, Non-obese Diabetes (NOD), Type 2 Diabetes, Rheumatoid Arthritis, and Autoimmune Hepatitis, Inflammatory Bowel Syndrome (IBS) and Celiac Disease. Psychological Disorders – Depression, Anxiety, Anorexia, Post-Traumatic Stress Syndrome (PTSD), Psychosis, Schizophrenia and various Sleep Disorders. Cannabidiol (CBD) rich compounds also deliver anti-inflammatory, cannabidiol (CBD) rich compounds also deliver anti-inflammatory, anti-convulsant, anti-spasm, anti-pain, anti-anxiety, anti-psychotic, anti-emetic, and anti-cancer benefits. Pre-clinical studies show that Cannabis-related compounds improve joint and muscle recovery. No... I’m talking about CBD oil which can be delineated further from categories like Hash oil, Hemp oil (which at times is incorrectly used to describe CBD oil) and Cannabis oil or THC oil. Many cannabis oils are psychoactive (will get you high), but CBD oil is not – and will not get you high. In fact, CBD is anti-psychoactive which means it actually works against psychoactive effects. Although CBD oil is derived from the hemp (cannabis, marijuana) plant, the CBD component, cannabidiol, is extracted and otherwise separated from the psychoactive components such as THC (tetrahydrocannabinol), and is used for its therapeutic and medicinal benefits. CBD oil can be mixed with other organic oils depending upon its intended use, or it can be obtained in a pure form. The highest CBD potency oils are derived from the flower tops or “buds” of high-grade marijuana of the Cannabis sativa species (and hybridized sativa strains). The original term “marijuana” was not the name of the Cannabis plant as is commonly thought. It was the name that Mexicans gave to the flower tops of the Cannabis plant which they and other Native Americans smoked for centuries and throughout pre-prohibition in the United States. Per most current State laws, CBD vape oil is not illegal, and no prescription or MMJ card is required to obtain its health and medical benefits. You can buy CBD vape oil in almost any State in the U.S. depending on availability. Current demand far exceeds supply. One of the most popular and therefore common types of vaporizers is the vape pen. Its popularity is due to its convenient size and shape and available in a variety of price points and relative qualities. Some pens are designed to be used with a variety of different Cannabis ‘concentrate‘ forms as well as vaporizing the herb flower itself – aka: “bud”, “weed”, or “marijuana”. There are many CBD oil vape pen starter kits available for sale, and like the image to the right, most refillable vape pens can be used for any type of vape oil. This ‘standardization’ of the thread size makes it more convenient for those of us who have quit smoking tobacco and now vape healthy hemp-based oils instead. We are also given further choices by some providers of disposable pens. That’s the epitome of convenience. You just throw away the pen when empty, and open a new one whenever desired. My experience is that it is better to go with a quality pen batery with variable power settings as opposed to cheaper, disposable vape pens – especially those made overseas which I do not recommend. Although I enjoy the natural flavors from hemp and cannabis oil, I also enjoy the variety of flavors available in CBD vape oils like Peach, Apple, Raspberry, Blueberry, Blackberry, Citrus, Melon and specialty blends that please the palate and really tailor the experience to your specific ‘tastes’. Even better than the fruit flavors are the natural terpenes from various strains of sativa and indica varieties like CBD Living Vape flavors: Tangie, Sour Diesel, and Bubble Gum. Typically, you will find that all-natural and organic compounds are added for flavor. Whether vaping pure CBD vape oil or one that is flavored, the preventive health benefits far outweigh the pleasure and relaxation derived. Vaping CBD Oil - Safer than Nicotine Vape? Absolutely! Which brings me to the point of this topic. 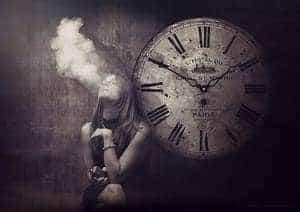 It is very important to realize that not only is nicotine a carcinogen and destructive to human tissues, the propylene glycol used in many e-cigarettes, and even some CBD vape oils and CBD pen vape cartridges that also contain PG or VG has been determined to be harmful to your health. Breathing propylene glycol is never recommended and vegetable glycerin is not either. The FDA has cleared propylene glycol for use in many common products such as cosmetics, pharmaceuticals, baby items, pet food, and even safe for human ingestion. The problem arises when it is heated from the coils in vaporizers and then inhaled. PG is a petroleum by-product that stands for Propylene Glycol. Odorless and colorless it is used in nicotine e-cigarettes for what is described in the industry as the “throat hit” effect. PG is commonly used as a suspension fluid for concentrates and nicotine and carries flavor better than VG. VG is a natural substance that is derived from vegetable oil and stands for Vegetable Glycerin. It’s is used for its characteristic of “thickening” the inhalation sensation of it’s vapor. Users describe the effect as being more smooth, slightly sweet, and relatively thicker in substance than PG. Although the FDA has determined that either of these additives are safe for human consumption, the jury is still out on whether either of these are safe to inhale. Controversy over this research is ongoing, so I recommend staying away from products that don’t specifically state “No PG or VG”. Carcinogens, polymers, carboxyls, and other toxins are generated when propylene glycol is heated. Inhaling these toxins is clearly not recommended by myself or Cannabis Animus for our visitors and Members. Great care should be taken to make sure that this substance is not included in your vape oil or CBD oil. For the most healthy and recommended base oil for any product I recommend is using MCT oil as a ‘base oil’ for the CBD (without additives). This medium chain triglyceride oil should be of pharmaceutical grade and from fractionated coconut oil. That’s what my biochemist and physician friends and Members at Cannabis Animus will also recommend. For a more deep dive into why nano CBD oil is best for vaping either CBD vape oil or CBD e-Liquids, please consider reading my post/article on “CBD and Nanotechnology” before you buy. It’s currently ranked on Page 1 of Google and the major search engines. So whether you chose to vape CBD oil, or ingest it in some other preferred way, the important thing is that you incorporate it into your daily nutrition and health regimen. I encourage you to do more research and get ‘er done! For another related post, please see “What is CBD Hemp Oil”, although not specifically related to vaping CBD oil. Cannabidiol is arguably your body’s strongest and most far-reaching, natural ally. What have you experienced? What are your questions? Are you part of this health miracle? It’s a matter of when. Please don’t leave without leaving a comment or asking a question below! I am also amazed how cbd oil helps us to treat our brother suffering from epilepsy. This is why we also want to legalized the use of it. Thanks for sharing this. I am a retired RN who finally fixed an old football knee with a full knee replacement. I have used your CBD Vape Kit with cbd oil cartridge and pen vape battery/charger… everyday after surgery and 4 day hospital stay. After returning home I took a full draw whenever I felt pain. Sometimes two. And it took, within 2 to 3 minutes the throbbing pain away. I did wake in a panic twice and took half a tablet of the norco. It’s now one week later plus three days, and I am having staples removed and am walking on a cain. Slow and carefully but walking. This has been a fantastic trial of the cbd. I also take 6mg (3mg normally) melatonin for sleep, so if I awaken I take 1 or 2 puffs and I am sleepy again, the cbd allowing the melatonin to once again return to natural sleep. It has a relaxing affect during day as well as reduces pain to non detectable levels. Because there is no high, a normal day for me can progress. Thanks again Ted, I am convinced by own experience. And this daily cbd regimine is probably going to assist in my overall progress by optimizing healing. I’ll let you know.